In an effort to provide the best possible service for our customers and encourage career growth and development for our employees, Green Lawn Fertilizing and our sister company Green Pest Solutions have initiated a quarterly cross-training program for all of our employees. We understand that our company would not be successful without satisfied customers. We continue our training events throughout the season on many different topics so that we are always able to address any concerns our customers may have. During our most recent training session, we covered a variety of topics including an overview of our fall fertilizing and tree and shrub services, an introduction to our measuring process, the value of great customer service, and a hands-on demonstration of a termite treatment. 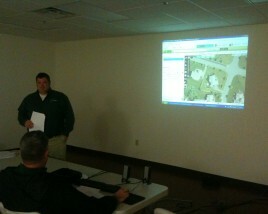 Alex Wolfington, VP of Sales, instructs his group on the lastest lawn measurement tools. In addition to expanding our employees’ knowledge of lawn and pest control issues, cross-training helps to build relationships between coworkers. Due to the nature of our business, many of our employees are out of the office. Although we speak to each other daily, we don’t always have the chance to see our coworkers. Team-building initiatives, like our training events, are one way that Green Lawn encourages a friendly atmosphere between our employees. Tom Knopsnyder, Vice President of Operations, instructs group regarding new ingredients in our product. Working in this Green industry can be extremely difficult as we constantly have to conform with new laws, changes to products and address weaknesses within the workplace. By instituting quarterly training rodeos, our managers provide the opportunity for all employees to strengthen the skills needed to improve upon within specific areas. This supplements and reduces the risk of their being weak links, lack of communication and lack of competence within the company. Furthermore, this reduces the need for others to rely heavily on others. By providing these essential company training days, our staff becomes even more competent, knowledgeable and aware of all the subjects within the company. Providing these training days enables our employees to have a stronger understanding of the Green Industry and the responsibilities of his or her job within the industry. Moreover, this builds a high level of confidence and competence to continue to push our employees onto further accreditation and certifications that relate to cutting edge industry developments. At Green Lawn Fertilizing and Green Pest Solutions, we encourage our employees to stay confident and competent by staying on top of ever-changing Green Industry standards to supplement our company with further growth as we become an industry leading company. Structured quarterly training programs ensure employees have ongoing consistent experience and background knowledge within the Green Industry. 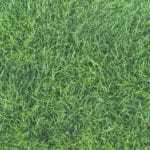 The structured consistency is particular relevant for Green Lawn Fertilizing’s and Green Pest Solution’s policies, procedures, products and applications. All employees need to be aware and are constantly trained around the expectations and procedures within our company and industry. This also includes understanding security, discrimination and organizational responsibilities. Instituting training programs on a continual basis throughout the year permits employees to contain the essential exposure of this vital information. Adam Granito, General Manager of Green Pest Solutions, instructs employees regarding the latest pest activity in the Mid-Atlantic region. 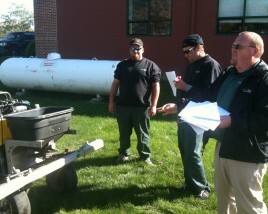 At Green Lawn Fertilizing and Green Pest Solutions, we continually push our employees for operational excellence. However, that doesn’t mean we don’t have fun doing so. At this particular training day, each department chair was given ten WAWA gift cards to hand out to an employee that stood out during training. Employees with access to training and development programs have the ability to take advantage Green Industry standards over employees in other companies who are left to seek training opportunities on their own. 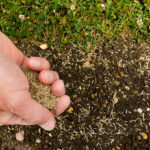 At Green Lawn Fertilizing and Green Pest Solutions we place a strong emphasis and investment in training that makes the company an overall better workplace and enables overall growth. 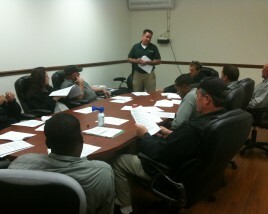 A cross-training day brings all of our employees together and allows our employees to share their knowledge. Our sales representatives, technicians, and office staff all have a unique view of how their department contributes to the company. When we work as a team, employees are able to see how every part of the company contributes to provide a great overall experience for our customers. 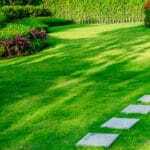 As we continue to grow, Green Lawn Fertilizing and Green Pest Solutions remains committed to providing a quality service and employing the best people to give our customers an outstanding experience. We strive to bring out the best in our employees so that we can always exceed our customers’ expectations. Pricing is a limited time offer. Pricing is good for homes with up to 5 bedrooms. Offer is not valid for Termite Protection, Mosquito Control, and/or Bed Bug Control. Cannot be combined with any other offer. Quarterly visits are 4 visits in a year. 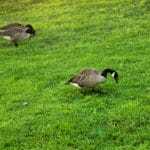 Pricing valid for Green Lawn Fertilizing Customers only. Certain restrictions apply. Please visit our Green Pest Solutions service page for more information.